In our normal life. Most of the people would like to pursue the healthy, perfect and beautiful body. That’s why we need a healthy body to balance our lives. 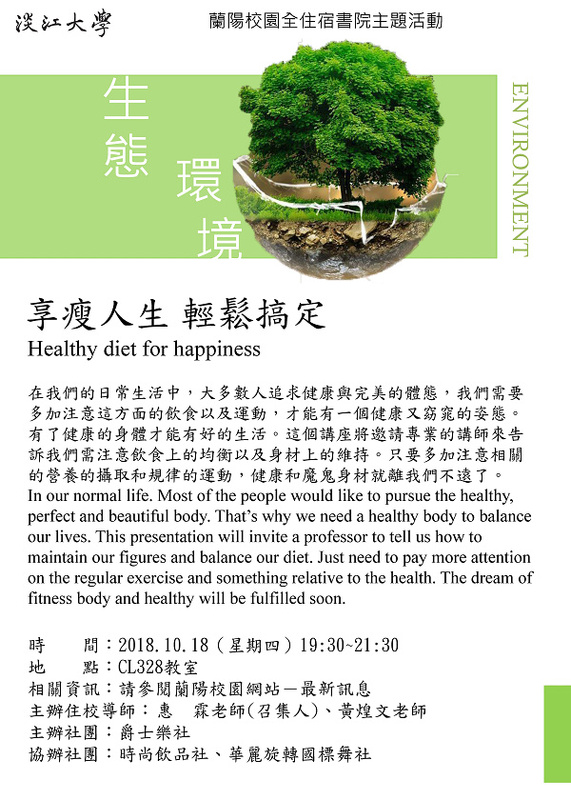 This presentation will invite a professor to tell us how to maintain our figures and balance our diet. Just need to pay more attention on the regular exercise and something relative to the health. The dream of fitness body and healthy will be fulfilled soon.